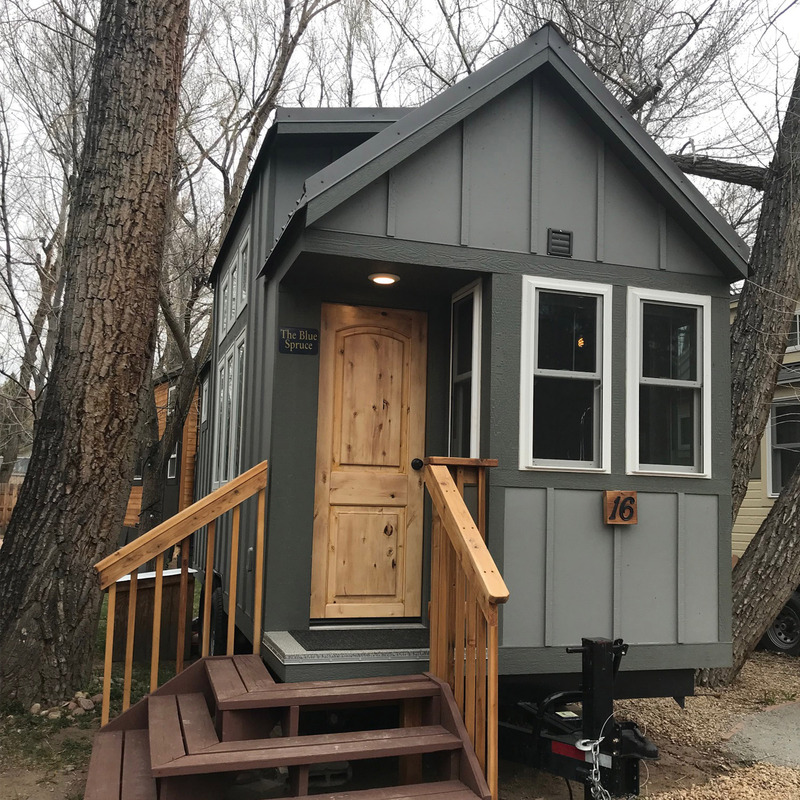 The Blue Spruce features a queen size bed on the main level and queen size bed in a loft. 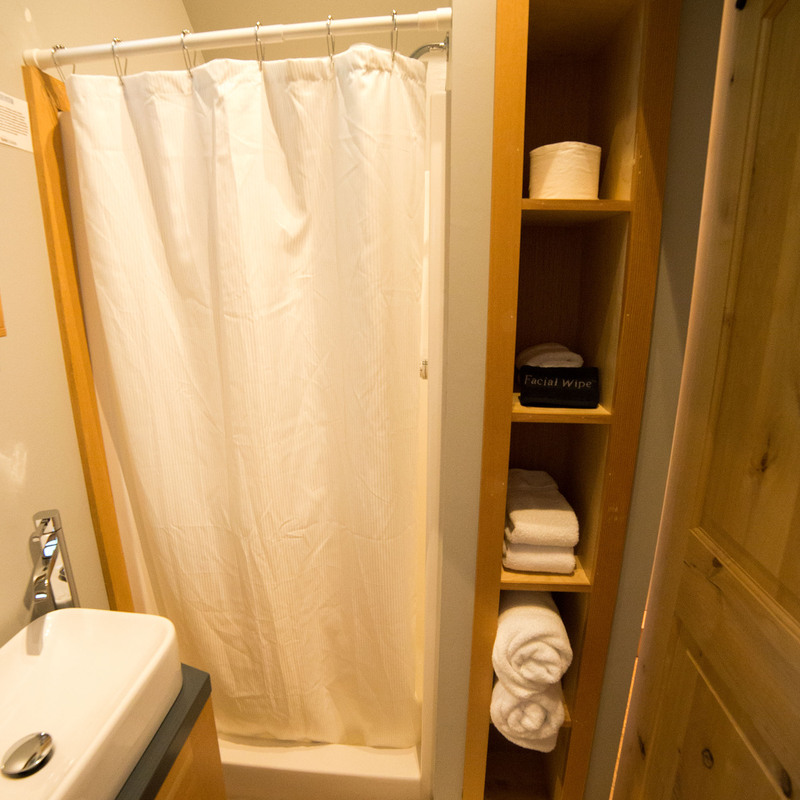 The sliding barn-style bathroom door make this an instant classic. 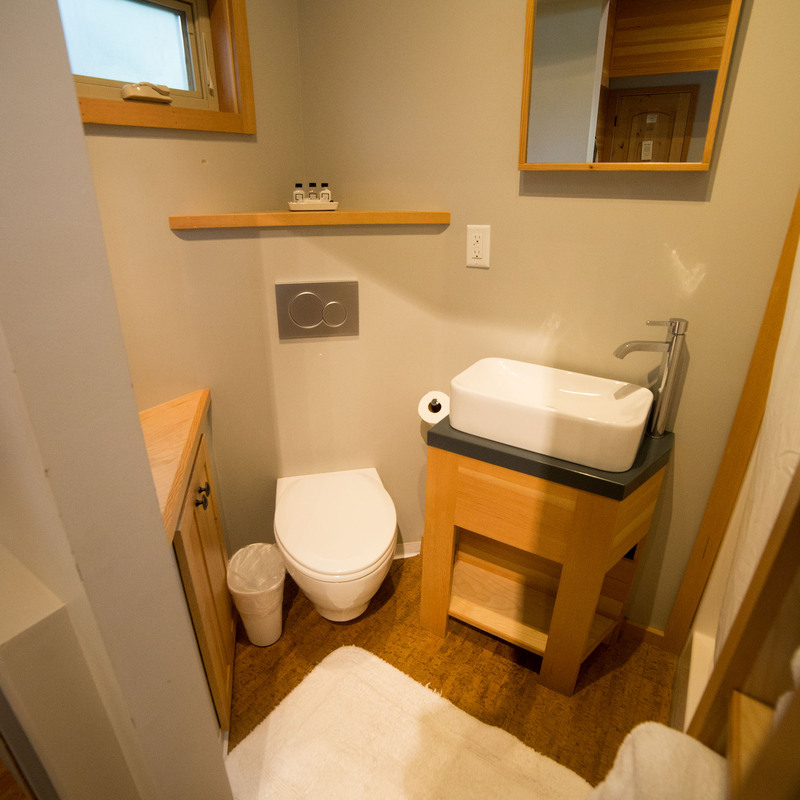 Flushing toilet, sink and shower. 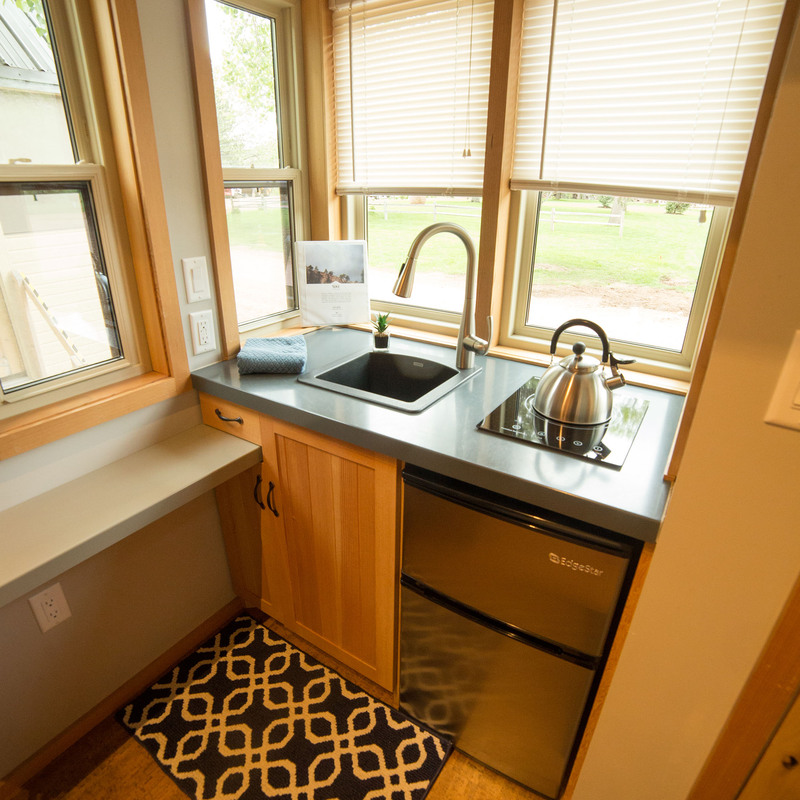 The kitchenette includes a mini-fridge, sink and induction cooktop.